Even though Jio has given the 100 Rs Cashback offer on their Recharges above 300 Rs via doing recharge using their official My Jio App and Phonepe 20% Cashback. 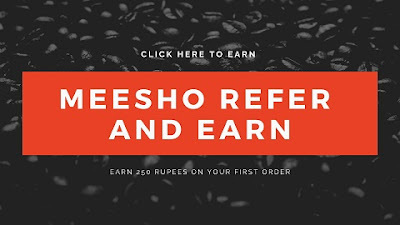 Today in this post we are going to share the Freecharge Jio Cashback offer by using this you can recharge your Jio number with maximum cashback. On FreeCharge App now JIO100 code is working properly on your first transaction on the FreeCharge app. Previously, We have shared some best and latest Cashback offers on Jio Recharge. Now using this "FreeCharge Jio Cashback offer "you can recharge your Jio packs in multiple shots. That the catch of this trick to get maximum cashback using FreeCharge "JIO100 promo code" for first ever transaction. In this "FreeCharge Cashback offer", today we are going to share how you can easily recharge your Jio packs in maximum discounts. FreeCharge App is best known for their latest cashback offers, Coupons, Promo codes, postpaid bill payments, mobile recharge coupon for the new users as well as for the old users. By using the FreeCharge App you can do all such transactions to get various cashbacks and discounts for your online payments. As of now, we have come across the various cashback offer on Jio Recharge. But today we are going to use FreeCharge App to recharge our Jio Number to get Cashback up to 100 Rs. Using the Coupon code of JIO100. In which you'll get instantly 100 Rs off on recharge of 100 for your Jio Number. You want to recharge your 349 Rs or 399 Rs pack on your Jio then you can use this trick to do in multiple shots. Later you can use your "Account Balance" in your My Jio App to recharge your desired pack. First of all, go to FreeCharge App or FreeCharge Website. Now Sign Up/Login to your FreeCharge. After this Enter, your Jio Number, enter 100 Rs amount. Now Apply the Promocode JIO100. After this pay the amount using CC/DC cards only. Done. You'll get instantly 100 Rs Cashback in your FreeCharge Wallet. After this, you can use that cashback amount to recharge your Jio number again. Steps To Get Jio 100 Rs Recharge in Just 5 Rs. First, follow the above Step of FreeCharge. Now as per following the above step you have got the cashback of 100 Rs in your FreeCharge App. In FreeCharge App add 5 Rs more. Now you total have 105 Rs. Now Go to the Zingoy From Here and Create New ID. After that go to this link Paytm Coupon. After this Buy the Paytm Coupon/Voucher. You'll get Paytm Voucher on your Zingoy Registered Email. Now Add this Voucher to your Paytm account. Apply this Paytm Voucher code and Complete the add money process. You will get 100 Rs Paytm Balance in Few hours. So you have done 100 Rs Jio Recharge in Just 5 Rs. So on FreeCharge app, you can use JIO100 Coupon code, Promocode to get the 100% Cashback on the recharge amount of 100 on your Jio Number. You can use this Promocode on only if you are the NEW USER of the FreeCharge app and valid up to 15th June. Moreover, of this, you can create new freecharge ids to do multiple shots to get maximum cashback on your Jio Recharge.